WHITETAIL and ELK SEPTUMS second to NONE! Lifelike texture and contours make these Hilton Eppley SEPTUMS the most realistic in taxidermy! Exacting coloration, thickness and shape results in the World’s BEST SEPTUM. 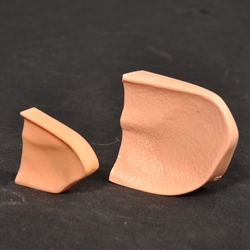 Easy to use and incredibly realistic, these SEPTUMS set a higher standard in anatomical accuracy.